Mountaire Farms celebrated a ribbon cutting Tuesday officially opening a new $170 million processing plant in Siler City. The ribbon cutting comes nearly three years after Mountaire announced that it had acquired the former Townsend chicken processing plant, which closed in 2011 after having been a large employer in the area. Chatham County Commissioners then approved an incentive package for Mountaire Farms in November 2016. 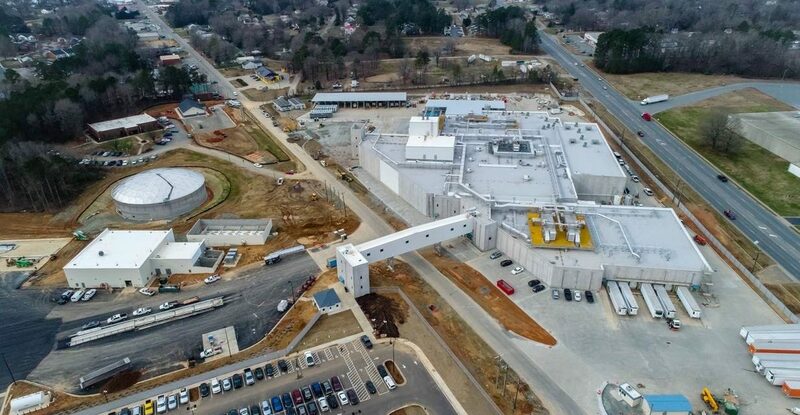 Mountaire is the nation’s sixth-largest chicken process, according to a release, and has one other processing facility in North Carolina in addition to two others in other states. The company settled a dispute with residents in a neighboring mobile home park last year after the processing plant purchased the property and some of the residents were forced to leave. The 40-acre complex will have up to 1,250 employees when fully staffed, according to the company. Part of the ribbon cutting also included opening a new Health and Wellness Center at the complex.